This has truly been a game changer for my classroom. My kids have individual crayon containers, but they will all inevitably lose certain colors over time. 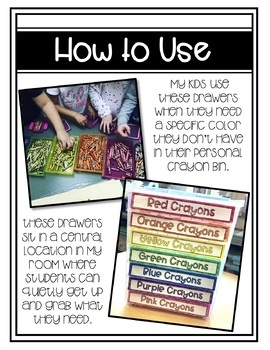 In order to keep chatting to a minimum and independence to the maximum-my students are able to use these drawers to grab the color they need whenever they need it. 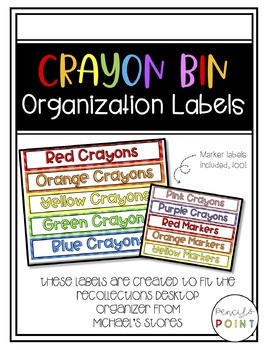 I have added marker labels, too! Email or message me for any questions or ideas!